5 mins - Southampton 0 Bournemouth 0: Saido Mane and Victor Wanyama are already trying to force their way through the rigid Cherries backline, but with little success so far. The atmosphere is electric at St Mary's as the hosts welcome a rival to town in the absence of Portsmouth. 11 mins - Southampton 0 Bournemouth 0: Sylvain Distin is the man on hand to block Saido Mane's curled effort as the Saints begin to turn the screw. 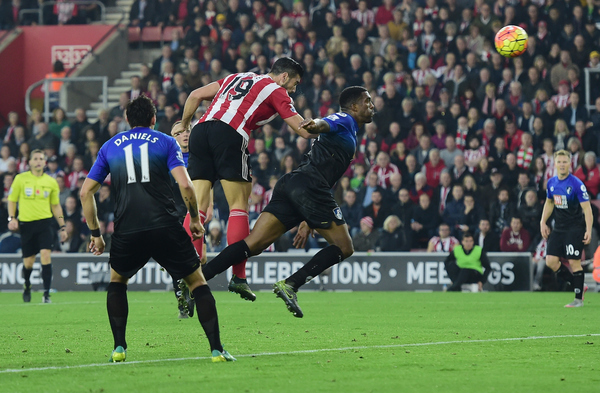 Ronald Koeman's side have made an assured start but the visitors look threatening on the break. 23 mins - Southampton 0 Bournemouth 0: The visiting contingent sing 'there's only one Harry Redknapp' as the match slows down in pace. The former QPR boss of course managed the Saints to relegation in yesteryear but remains a popular figure among Cherries' fans. 31 mins: Ryan Bertrand benefits from a lovely touch by Graziano Pelle to cross for Steven Davis, who heads it past Adam Federici and puts the Saints into the lead. The Northern Irishman's purple patch in front of goal continues. 35 mins: Saido Mane punts it across to Dusan Tadic as Graziano Pelle waits for his teammate's perfect cross to fall onto his head. The Italy forward just nods it into the Bournemouth net and it's already looking like a tough afternoon for the guests. 45 mins: Bournemouth subs - Danny Pugh off, Joshua King on. Glenn Murray off, Junior Stanislas. Southampton sub - Jose Fonte off, Maya Yoshida on. 45 mins - Southampton 2 Bournemouth 0: We're back under way at St Mary's as Eddie Howe's men have a mountain to climb if they are to get anything out of this match. The newly-promoted south coast outfit conceded five against both Manchester City and Tottenham in their last two matches. 51 mins - Southampton 2 Bournemouth 0: The visitors' first corner of the match is greeted like a goal by the travelling supporters behind the goal but it comes to nothing and Southampton can clear. 6 - Southampton have now scored six headed goals this season in the PL (the most); twice as many as they did in 2014-15 overall (3). Leap. 63 mins - Southampton 2 Bournemouth 0: The Cherries are doing their utmost to drag themselves back into this but to no avail. Ronald Koeman's decision to bring on Maya Yoshida appears to be an attempt to slow proceedings down - with great success so far. 69 mins - Southampton 2 Bournemouth 0: The hosts are having to withstand some heavy pressure now as Bournemouth, inspired by Harry Arter, press them down the flanks. Still nothing to show for their efforts mind you. 70 mins: Southampton sub - Jordy Clasie off, Oriol Romeu on. 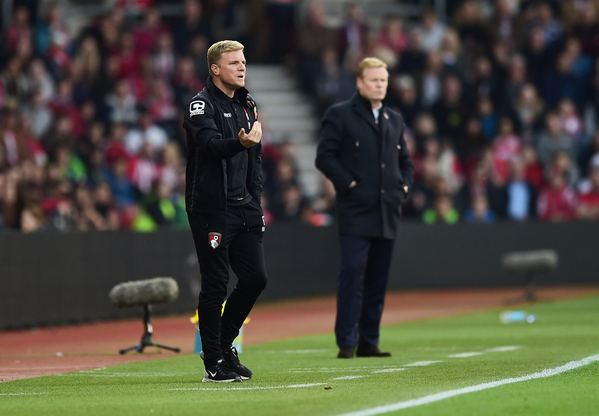 72 mins: Bournemouth sub - Harry Arter off, Lee Tomlin on. 77 mins: Lee Tomlin is hacked to the floor, on the edge of the Saints' area, by Victor Wanyama as the former Celtic midfielder picks up a second yellow card of the afternoon. 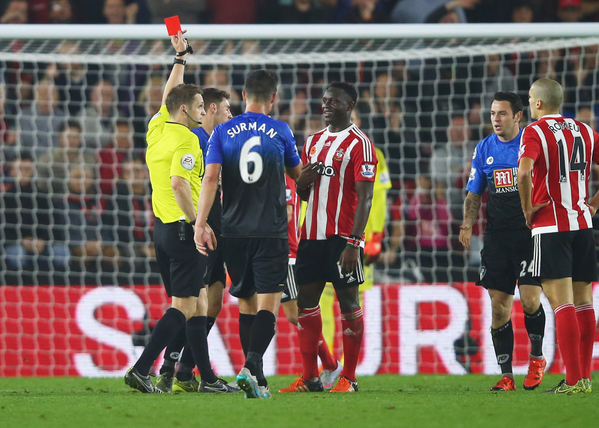 80 mins: Southampton sub - Dusan Tadic off, James Ward-Prowse on. 86 mins - Southampton 2 Bournemouth 0: Lee Tomlin finds a pocket of space but it quickly closes around him and he is forced to shoot early. 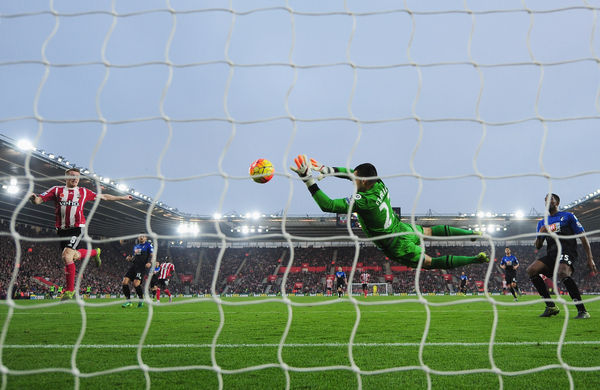 Despite getting some power behind his effort, Maarten Stekelenburg can save comfortably. A double from Steven Davis and Graziano Pelle give Southampton a win as vital as it is satisfying - one which sees them climb to seventh in the Premier League table. 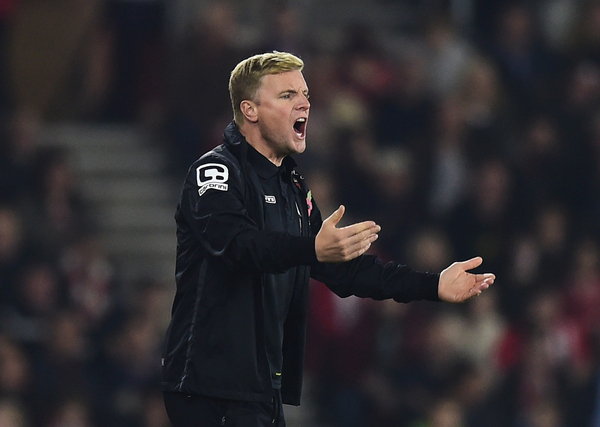 Bournemouth, on the other hand, fall to a fourth defeat in five matches but remain outside the bottom three. 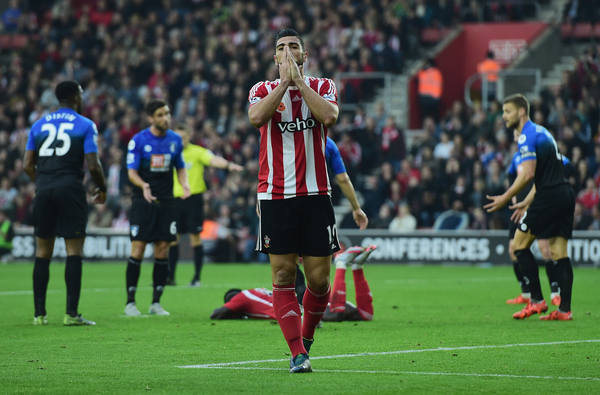 Southampton striker Graziano Pelle on Sky Sports: "We worked hard because Bournemouth were trying to reduce the gap. We need to improve in some parts when we are winning 2-0." 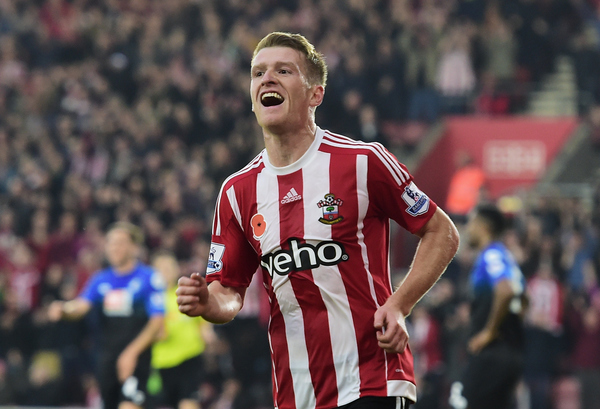 Steven Davis: "We were happy with how we played first half and knew they would come out in the second. There are things we can improve on, particularly in keeping hold of the ball. "It is nice to get in the right areas and score. It was an important goal at an important time. "Gradually we are getting better each game. It is important now to put a run together."